Instant Retargeting? What the Heck is it and Why Hasn’t Anyone Told Me About it Before Now? If you’re like most of the car dealers, dealer groups and OEMs I work with or address at 20 groups, retargeting website visitors with display advertising consumes roughly a third to a half of your overall digital marketing budget. Moreover, most of the Dealers and General Managers say that accurately measuring the results of that spend is, at best, problematic. Sounds like the old, pre-internet, advertising adage every dealer can recite by heart: I know half of my advertising is working; I just don’t know which half. It gets worse. By 2017, over 86 million Americans are expected to be blocking online ads (read more here: http://www.emarketer.com/Article/US-Ad-Blocking-Jump-by-Double-Digits-This-Year/1014111). Yep, you read that right. This means the retargeting ads you’re buying – the ones where you’re already confused about the ROI – will be delivering even more dubious “results” for you and your team as more and more Americans block these automatically using readily-available software and apps. Okay, So What Can I Do To Accurately Retarget My Visitors? While not a replacement for traditional retargeting – mind you, I still think retargeting has a place in your budget, though I recommend tracking and measuring meaningful results more closely – the Instant Retargeting offered by a few companies in automotive is not only extremely effective at generating real sales leads, it’s surprisingly cost-effective, as well. For the average dealer, Instant Retargeting can generate between a 0.6% and a full 1% additional conversion rate on valid, unique visitors. This means a dealer seeing 3,500 valid, unique visitors to their website in a given month can expect to generate between 21 and 35 incremental, non-duplicated sales leads if they’re using Instant Retargeting. Assuming an average close rate of 20% for website leads (these are website leads after all, because they are generated from website visits), the dealer with 3,500 unique visitors should expect to sell between 4 and 7 additional units each month – all fully and easily attributable to their Instant Retargeting efforts. How’s that for knowing your advertising is working? Okay, So What Is Instant Retargeting, Exactly? In a nutshell, Instant Retargeting involves presenting a website visitor with an offer or lead form either as soon as they’ve left your site or within a few minutes of their departure. The rationale for this is pretty sound: We know the average car buyer looks to multiple sources of information during their shopping process, so it’s safe to assume that just because they stopped shopping on your site it doesn’t mean they’ve stopped shopping altogether. Furthermore, if they’ve exited your website without providing their information (via a call, text, chat or e-lead), then getting them to visit your physical store is really left up to chance, isn’t it? Wouldn’t it be great if your website were equipped with a tool that could invite them back just after they left and while they were busy browsing your competitor’s site or a third-party site like Cars.com? Okay, I’m Sold! How Soon Can I Get Up & Running? Any of these vendors would be happy to take you through their respective Instant Retargeting products – though in the interest of full disclosure, I will likely benefit directly or indirectly if you purchase Instant Retargeting from one of them. That said, I’ve personally vetted these offerings and give each of them my highest recommendation. Once you’ve chosen a provider, they’ll work with you and your website provider to put the Instant Targeting to work on your website. FREE STEVE STAUNING VIDEO SERIES: GROW YOUR LEADS & SALES FROM YOUR EXISTING WEBSITE TRAFFIC! But, My Website Provide Said I’m Not Allowed! Yeah, it’s an unfortunate reality in automotive, but some third-parties that control the OEM dealer website programs have strict rules about using parasites (website add-ons). From a dealer’s perspective, this stinks, because without Instant Retargeting (and other parasites), you are at a distinct competitive disadvantage. If this describes your dealership/OEM relationship, all I can suggest is that you contact your OEM Dealer Council and lodge a formal request to add Instant Retargeting and other parasites to your dealer website programs. Of course, if the only roadblock to employing Instant Retargeting is your own bias against “pop-ups,” it’s important to note: Instant Retargeting is not a pop-up or pop-under; and unlike chat drop-ins and coupons, Instant Retargeting never interferes with the users’ ability to navigate your website. Your website has two goals: Attract Visitors and Convert Them Into Buyers. That’s it. With Instant Retargeting installed, you’re assured that the latter goal happens way more often than it does today. « How America’s New Car Dealers Can Prepare for the Coming Autonomous Vehicle Disruption	» Car Dealer Specials Pages are supposed to Drive Customers – Not Drive Them Away! 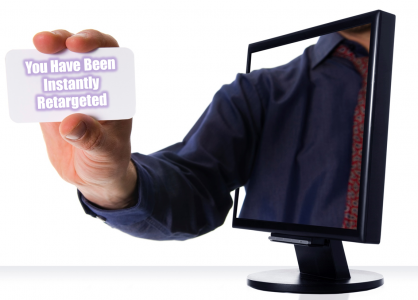 We’ve been using ‘instant retargeting’ for years, but never knew it was called that. 🙂 We always called it the pop-under and we still sell about 10 cars a month from it even today.